Which city in Europe that I have a forever crush on? It’s Amsterdam. Since my first visit in 1997, I keep coming back again and again to this cute city. 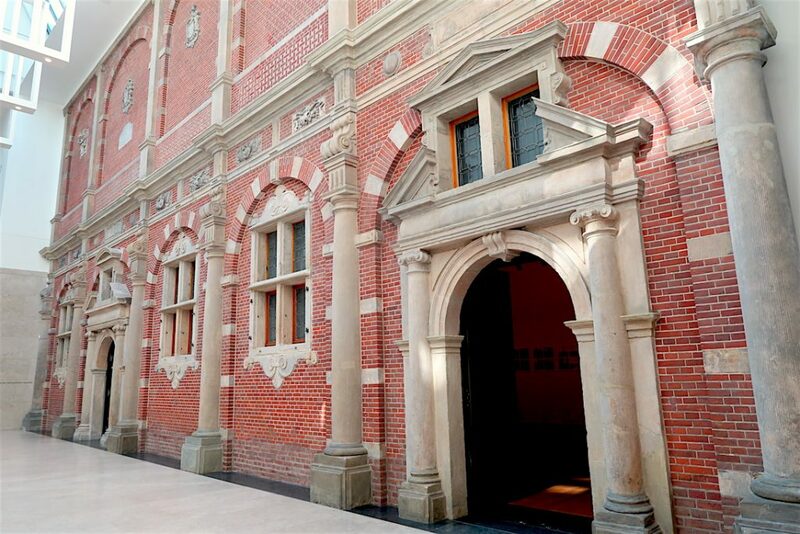 I even decided to pursue my masters degree here at the Universiteit van Amsterdam, since I’m so in love with this place! Even after I graduated, I keep visiting this place. That’s how much I love Amsterdam! 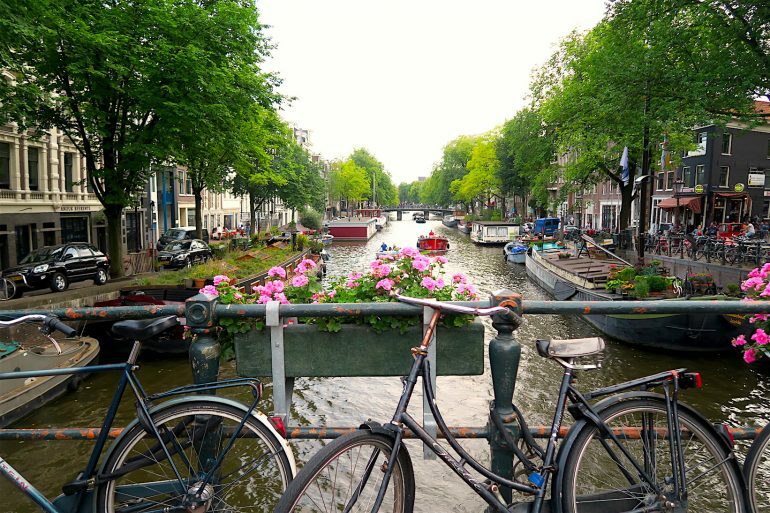 And although there are countless of things to see and do in Amsterdam, I’m going to share you the top 10 things to do in Amsterdam, if you happened to visit this beautiful place! Visit the Van Gogh Museum. The Van Gogh Museum is located in Museumplein. 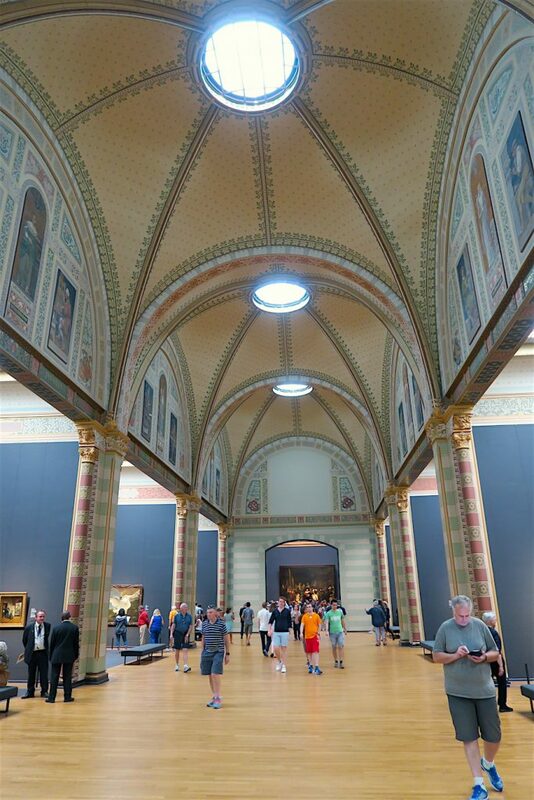 Spend some time at the Rijksmuseum. While you’re here, don’t forget to pay attention to the design of the building itself. 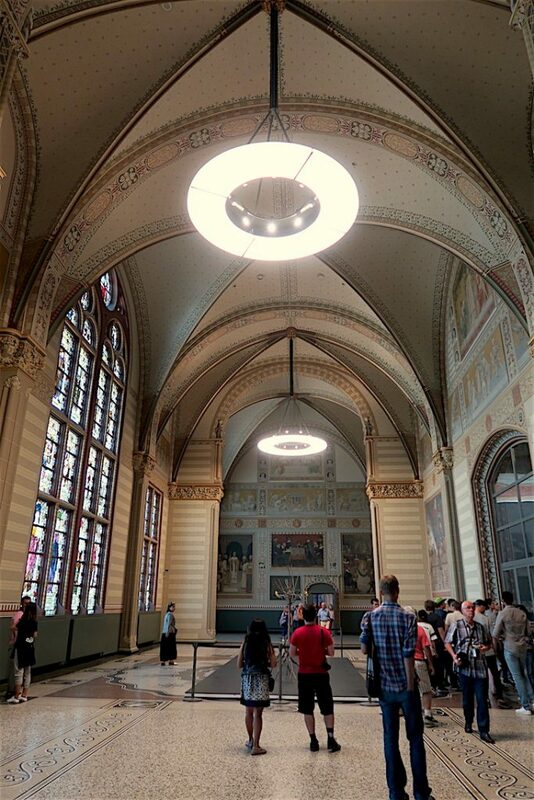 It’s designed like a Catholic Church with Rembrandt’s Night Watch as the center attention of the whole building. Impressive! The Rijksmuseum is also located in the Museumplein. Exploring the Jordaan area on foot or on a bicycle. Jordaan is the most prestigious and prettiest area in Amsterdam, I must say. If you can rent a yellow bike, do it, and bike around this area. 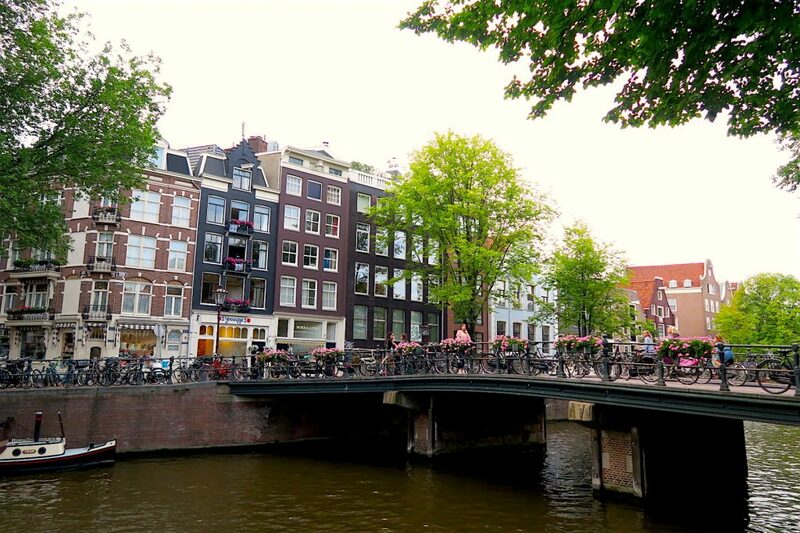 If not, then exploring Jordaan on foot is also enjoyable, because then you can stop anytime to snap some photos of the beautiful bridges and the picturesque canals. There are plenty of cute bars, cafes, (if you’re in Amsterdam, you should call it ‘coffee house’ not coffee shop. Coffee shop means something else –> a place where you smoke joint/marijuana/hash. Make sure you don’t get mixed up! :D), and cute boutiques in this area. I LOVE walking around this neighborhood sooo much! Crossing over the bridges, sipping a glass of Chocomel (chocolate milk, must try!) in a cafe by the canal, or taking photos of the boats passing by in the canals, is among my favorite things to do! Or just sit by the canal and do nothing :). Shopping at the 9 Straatjes. While you’re in Jordaan, you should find the “Negen Straatjes” or the Nine Streets. 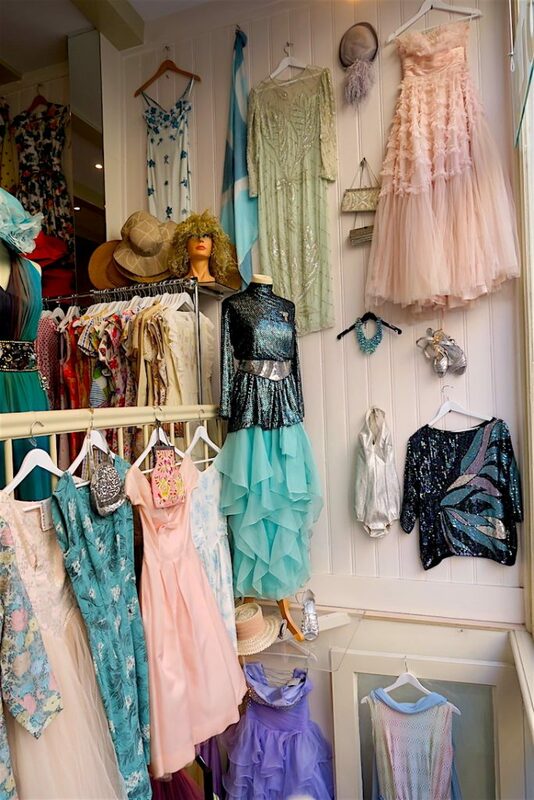 Just like its name, there are nine streets in Jordaan area that are famous for its boutiques (vintage, modern, and many more! ), and artsy stores. Dutch loves eating patat met mayo (which means french fries with mayonnaise). You can order it at any restaurants in The Netherlands, actually. It’s like eating nasi goreng in Indonesia. One food that will never fail in The Netherlands is patat. And they eat it with mayonnaise, of course! However, if you buy it in a store where they only sell patat, they have many selections of sauces, other than mayonnaise, such as: patat met curry sauce, patat met knoflooksaus (garlic sauce), patat met ketchup, patat met chili sauce, patat speciaal (which consists of curry sauce + mayonnaise + chopped onions –> it’s my favorite, by the way!). The latter is…. 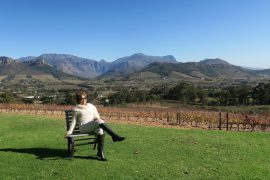 HEAVEN!! 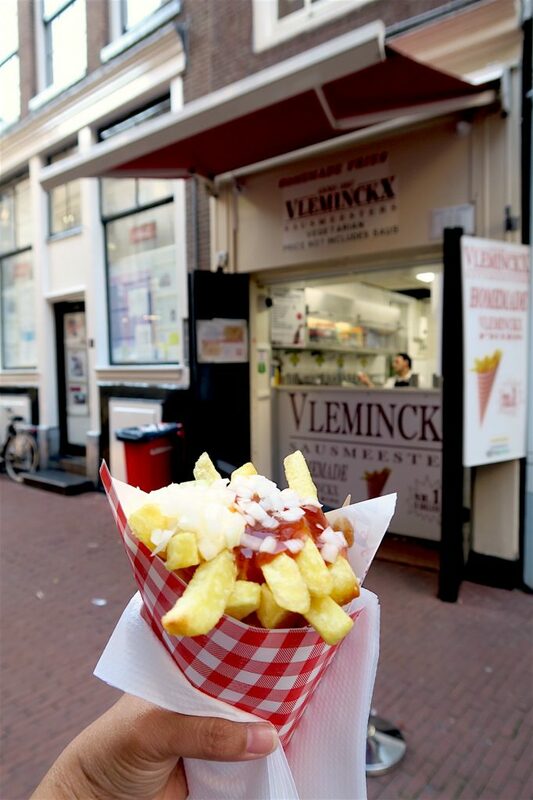 My favorite patat joint is “VLEMINCKX“. This homemade french fries outlet is very famous in Amsterdam and it’s patat is known as the best patat in town! The outlet is fairly small, but you wouldn’t miss it because normally there’s a loooong line of people — just to buy this tasty french fries! Where is it exactly? It’s located at Voetboogstraat 33, a small alley behind Kalvertoren, a small shopping mall in Kalverstraat. Vleminckx the sausmeester (the sauce master) is located in Amsterdam since 1957 and it has over 25 different types of sauces! But again, my favorite is the patat met speciaal saus. 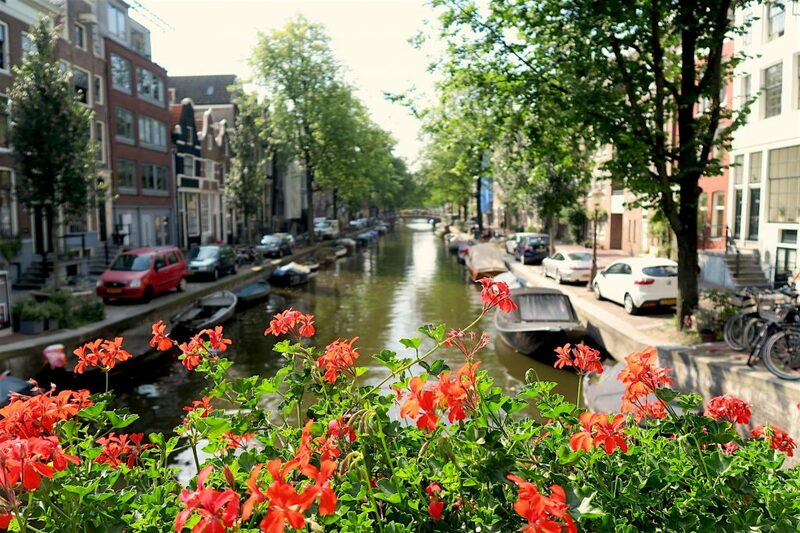 Amsterdam has over 30 parks. To name a few: Vondelpark, Rembrandtpark, Oosterpark, Flevopark, Sarphatipark, etc. The biggest one is Vondelpark (and it’s sooo beautiful!). 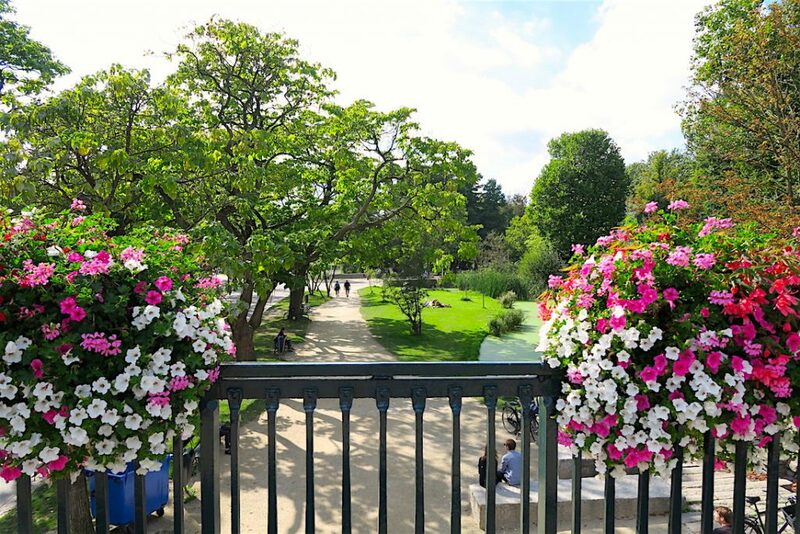 In the sunny day, you’ll find Dutch people sunbathing, walking/biking around, picnic-ing and bbq-ing in this park. If you’re lucky, you may also be greeted by free classical music concert in one of the lakes’ bungalow! Oh, it’s my favorite! 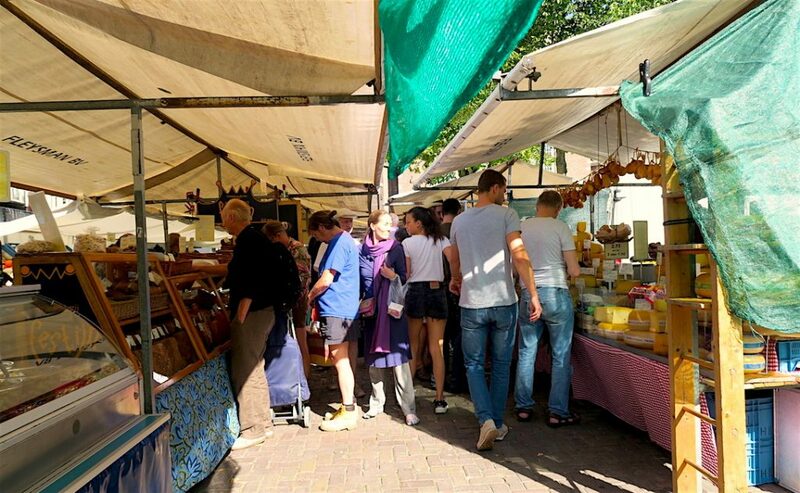 Depending on the days, you can find open markets in Amsterdam. 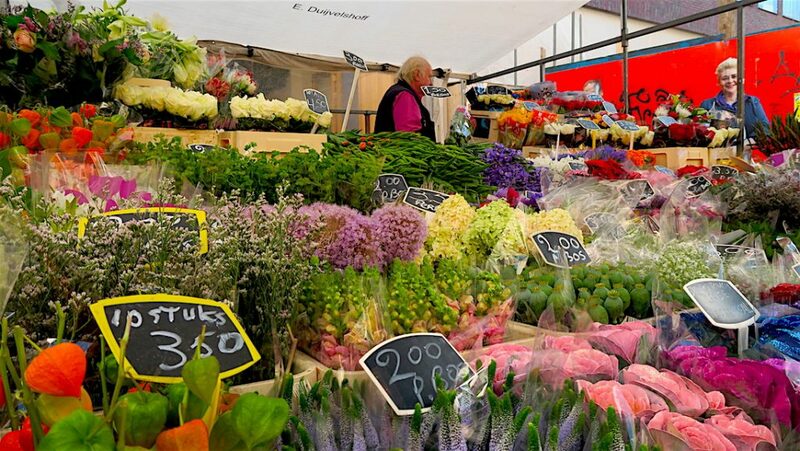 Albertcuyp Markt opens on Monday to Saturday, whereas Nordenmarkt opens in the weekends, the Westerstraat market held every Monday mornings, the flower market in Singel aka Bloemenmarkt opens from Monday – Saturday. If you love antiques and second hand stuff (aka junk! LOL! ), you may find the Waterlooplein market a gem. It opens from Monday to Saturday. Ask the locals and see if there are other pop-up markets in the neighborhood (sometimes there is!). 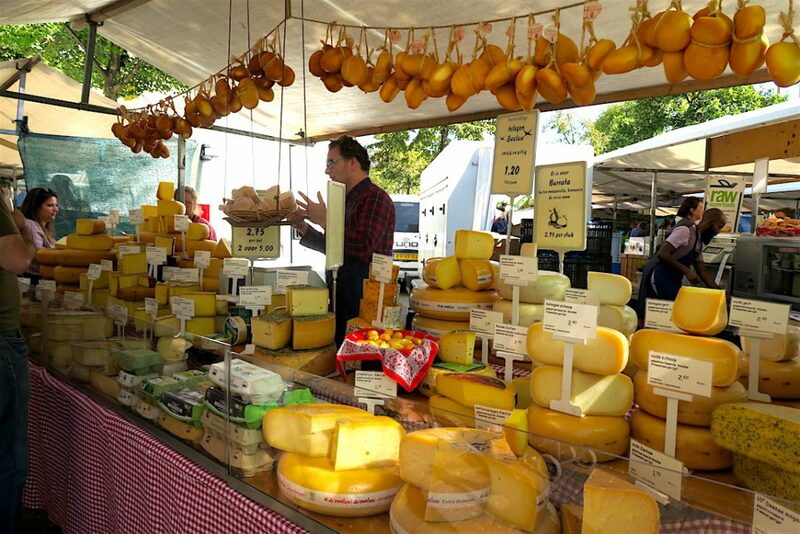 In these markets (except the flea market), you can find all kinds of stuff, ranging from clothes, knick-knacks, all the cheese you can handle, bakery, food trucks, vegetables, fruits, etc. A market is also a place where you can see how the locals interact with each other. Normally, the locals would buy the fresh veggies, fruits, and cheese anytime they have the chance to go to the market :). One of the way to soak up the positive energy of Amsterdam is by sitting outside – by the canal, either enjoying your meals at brunch, lunch, or just have a cup of coffee, local beers, or my favorite Chocomel :). While doing this, you can also enjoy “people watching” – watching the people pass by, observing the Dutch’ biking skills (they can ride a bicycle handsfree! and even sending sms-es, or making phone calls on one hand and the other hand eating sandwich! That’s some serious skills they have, right?) 😀 You can choose one of the cafes or restaurants around the Prinsengracht area. Or any place in Amsterdam where you can sit outside and by the canals, really. It’s beautiful. 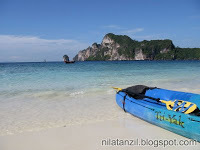 You’d love it! Go to the Red Light District. 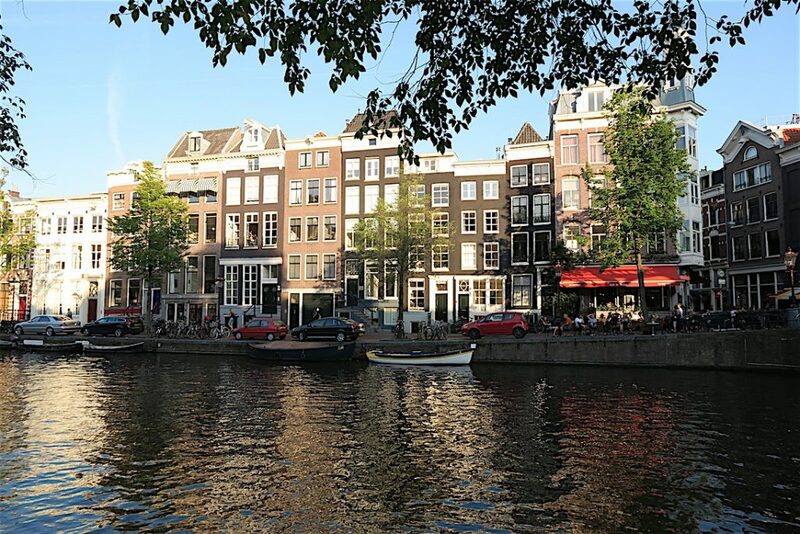 Those are my top 10 things to do in Amsterdam for you. 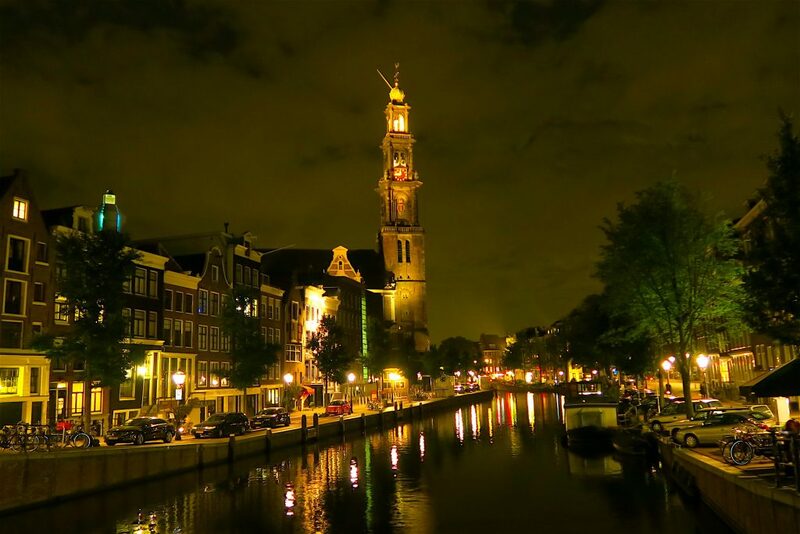 There are actually plenty of things to do and see in Amsterdam. The list can be looong… but these are my “must visit list or the to do list” for travelers who are the first timers in Amsterdam.